A poorhouse accommodating thirty inmates existed by 1776 in a street known as "Under the Cliff" in Pickering. Thornton Dale had a poorhouse from as early as 1734. North Riding of Yorkshire: Aislaby, Allerston, Appleton-le-Moors, Barughs Ambo, Cawthorne, Croptoft, Ebberston, Farmanby, Hartoft, Kingthorpe, Kirkby Misperton, Lastingham, Levisham, Lockton, Marishes, Marton, Middleton, Newton, Normanby, Pickering (2), Rosedale Eastside, Rosedale Westside, Sinnington, Spaunton, Thornton Dale, Thornton Riseborough, Turnhill, Wheeldale Moor, Wilton, Wrelton. The population falling within the Union at the 1831 census had been 9,473 with parishes ranging in size from Cawthorn (population 18) to Pickering itself (2,555). In 1848, the parishes of Appleton le Moors, Normanby and Riseborough joined the newly formed Kirkby Moorside Poor Law Union. Initially, the Pickering Guardians considered retaining the existing parish poorhouses with males housed at Pickering, and women and children at Thornton Dale. However, it was soon decided to build a new workhouse at Pickering. The new workhouse was built in 1837-8 on the Whitby Road at Rysea. In 1838, the Poor Law Commissioners authorized the expenditure of £1,550 on a building to accommodate 100 inmates. Its location and layout are shown on the 1920s map below. 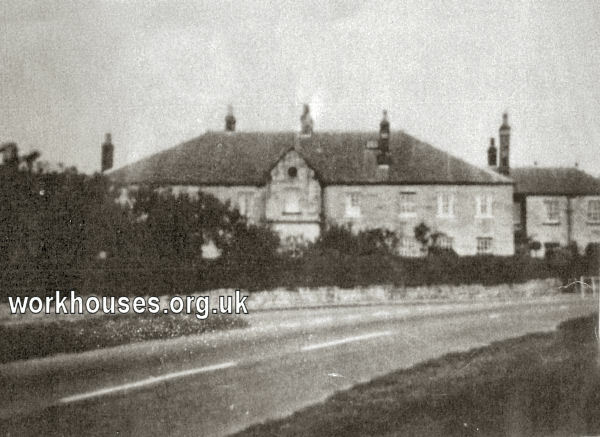 Pickering former workhouse from the south, c.1970s. Male inmates of the workhouse were employed in breaking whinstone, whilst the women were employed in domestic duties or picked oakum. In 1843, a "black hole" was erected as a punishment cell for refractory paupers. In 1847, part of the stables was converted into fever wards. In 1874, an infirmary wing was added at the east of the workhouse, followed in 1878 by a vagrants' ward. On 29th June, 1903, a violent incident occurred in the vagrant ward, where a number of inmates were carrying out their tasks. John Moore, aged twenty-seven, who had been behaving oddly since his admittance two days earlier, suddenly lifted a stone hammer and dealt a murderous blow on another vagrant who was working nearby. Moore continued to rain heavy blows on the man's body and head until an official, attracted by cries of murder, dragged him away and summoned the police. While the injured man was being attended to, Moore was lost sight of, but, after a search, he was discovered suspended by a rope tied to some bars across a window in the workhouse yard. A police officer cut the man down, in an unconscious state, and both he and the other casual, named as William Reed, aged sixty-eight, were taken to the infirmary in a critical condition. After 1930, the former workhouse became a children's hospital. An old people's home now occupies the site. Pickering former workhouse site from the south-east, 2006. Courtesy of Ripon Workhouse Museum. The Pickering Union established a children's home at 18 Hall Garth (or Hallgarth), Pickering. In 1924, the home could accommodate 12 children with Mrs A.G. Chambers as Superintendent. 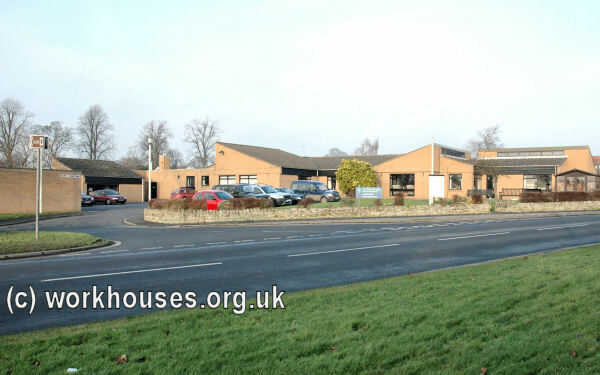 North Yorkshire County Record Office, Malpas Road, Northallerton DL7 8TB. Holdings include: Guardians' minutes (1837-1930); Admissions and discharges (1837-1949, with gaps); Births (1843-1931); Deaths (1837-1931); Creed registers (1900-17). Pickering Workhouse by Dr P Hastings (Ripon Museum Trust Leaflet, 1996).